Working with FuseIQ, I helped transform the FareStart and Catalyst Kitchens websites, which allowed these organizations to better showcase their offerings to donors, prospective clients, and people dealing with poverty in the community. Using a mobile-first approach allowed us to distill down key messaging to provide a harmonious experience for users. I was the UX designer and visual designer on a team of two developers, one project manager, and one copywriter. 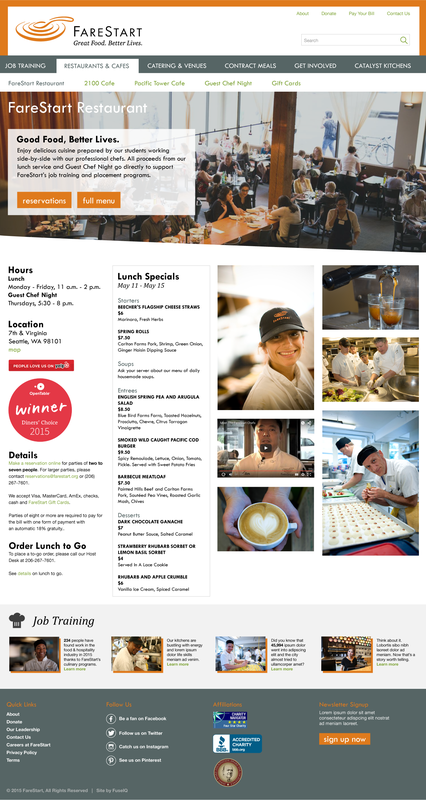 FareStart and Catalyst Kitchens staff are empowered to make updates to their websites using a simple Drupal interface. 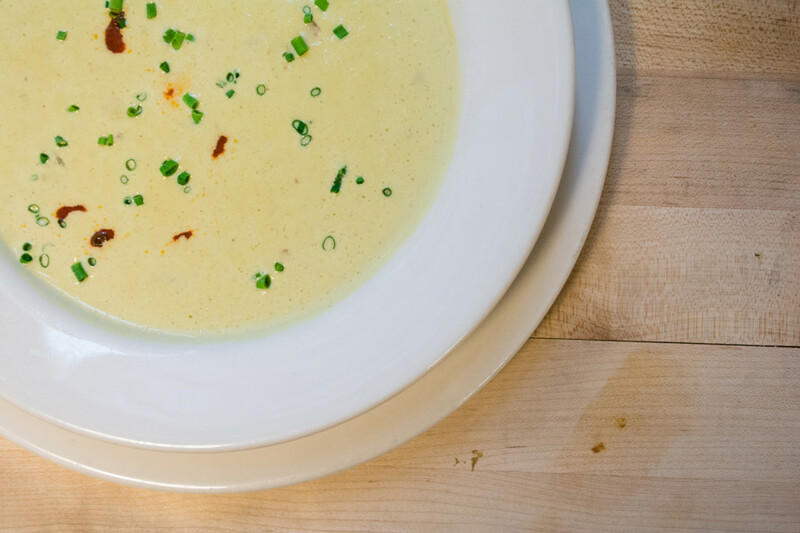 From 2014-2016, FareStart increased their food service revenue by $1.7M. FareStart expanded its model and methods to over 60 organizations nationwide through Catalyst Kitchens. I created annotated wireframes across two breakpoints for all main page templates. This allowed us to visualize the information, and led to a radical rethinking of the messaging. 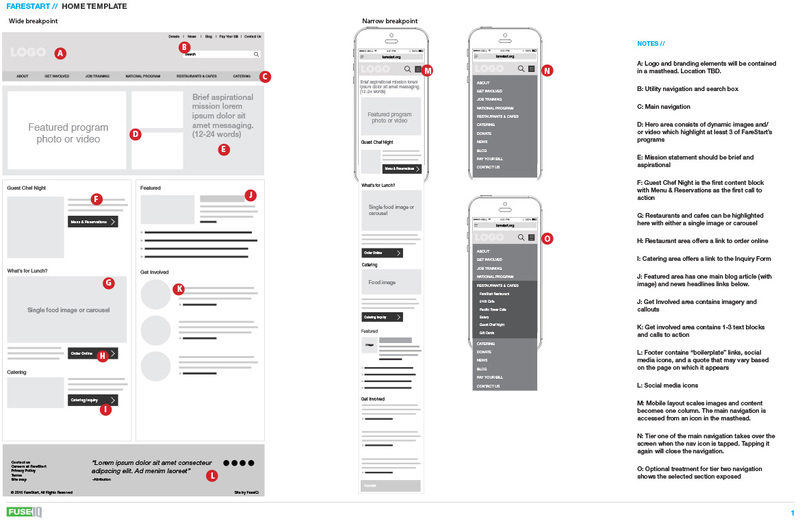 This was the revised wireframe that provided a clearer structure for key messaging. 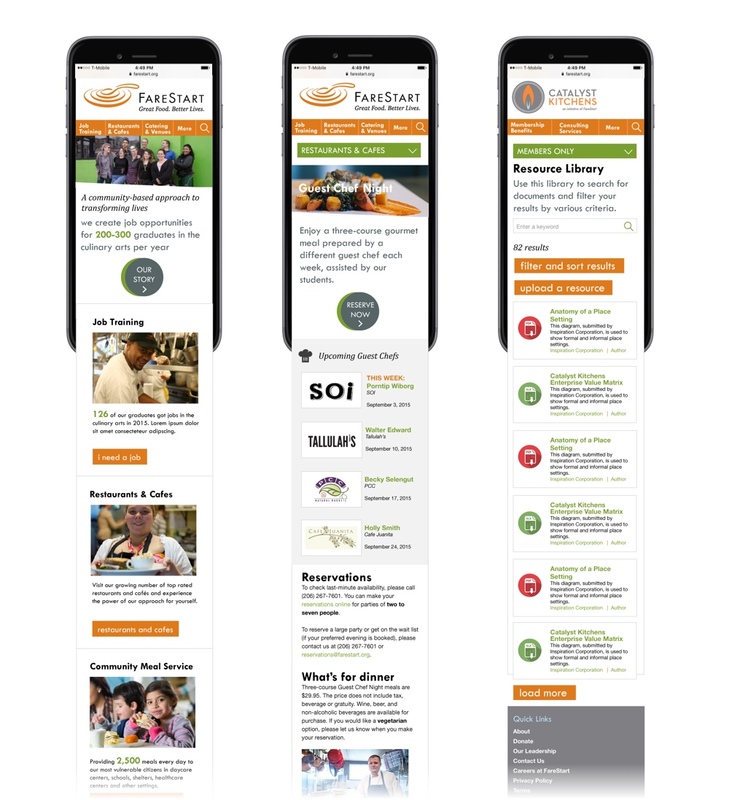 The home page allowed the FareStart marketing team to easily change key messages based on recent events, program emphasis, and seasonal influences. I developed a grid system flexible enough to serve five different page templates. This is one of the more complex templates, with four columns. It can also be updated easily with from a Drupal dashboard.